We spend a big part of our lives inside our homes. But how much time do we devote to making sure they’re healthy places to be? Thanks to advances in technology and knowledge, it’s easier and cheaper than ever to improve and protect the places where we live. Here’s a rundown on some of the things you can buy or add to your home to make it a better place to live. (Search online for more ideas). 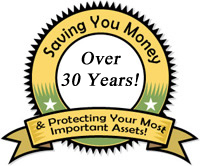 Humidifiers/Dehumidifiers – Too much or not enough moisture in your home can affect your health. Humidity should be in the 40 to 50 percent range and you need a hygrometer ($10 to $20) to track it. If your numbers are regularly above the range, you need a dehumidifier. If below, a humidifier is the solution. Also, when steam is being generated as in bathrooms and kitchens, run extractor fans for 20 minutes after you’re done. Sleep aids – One-in-three adults in the USA and Canada don’t regularly get enough sleep. That affects health and personal safety. Explore ways of making your bedroom a sleep-friendly environment with additions like “white noise” or relaxing music players, sleep-masks, black-out blinds or drapes for maximum darkness, smartphone apps that track your sleep activity and lavender-scented pillows. If you have difficulty falling asleep, don’t watch TV or use computers/tablets for at least an hour before bed. Clean Water – As our Page 1 article reports, concern is growing about microplastics in tap and bottled water. Improve water quality by using an activated carbon filter and replacing it regularly. While you’re focused on this issue dispose of any plastic food and drink containers that have the chemical BPA in them. Look for items with a number 3, 6 or 7 on the bottom and pitch them. Sanitizing – Some of the biggest transmitters of germs are handheld devices (like remotes and phones), keyboards, faucets and door handles – objects that several people may handle. throughout the day. Sanitize them regularly with medicated wipes. Vents, Chimney and Ducts – These are the places you often can’t see or don’t bother to check. But they harbor all manner of health and safety risks. Have them cleaned regularly by a professional. Taking medications prescribed by your doctor or even bought over the counter should be good for improving and maintaining your health. But it turns out that isn’t always the case because of the way some drugs interact with each other. By themselves, they may work perfectly well, but mixed with another medication you already take they could spell trouble. And as more and more drugs become available for specialist treatment, the risk of a clash grows, to the point where it could endanger your health. The trouble is that even doctors and pharmacists may not be aware of all the pills and medicines you are taking. Or they may not be aware of all the possible interactions. Fortunately, there’s something you can do yourself to try to cut the risk of interactions: Use the Internet to check out known side-effects and interactions. Of course, you should never stop or start use of a drug simply because of what you read online. You should always consult a health care professional — but being armed with information about possible interactions will enable you to discuss it meaningfully with your doctor. Most drug interactions usually are not life-threatening — but a few can be dangerous or even fatal. Don’t let ignorance lead you to take chances with your health and safety. The American Red Cross has warned that many people overestimate their ability to react to a home fire and miss critical steps to protect their loved ones and themselves. 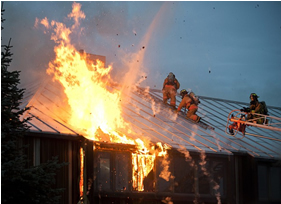 Home fires are the most common disasters people face. Every day, home blazes claim the lives of more than 7 people in North America. Experts say people have as little as two minutes to escape a fire, while most of us believe we have much more time. Would you know if your TV has been hacked? Would you even know if it’s possible? Smart TVs are just what their name implies. They’re clever at providing the services and channels you want; they’re clever at knowing your likes and dislikes; and they’re clever at communicating via the Internet — just like hackers. Basically, any device that’s connected to the Internet is vulnerable to hacking. If someone gets access to your smart TV, they could cause havoc — from switching channels to stealing payment information for apps or installing ransomware. In the case of ransomware, viewers receive an on-screen message that falsely claims to be from the FBI, demanding money and freezing access to your TV. If you have any reason to think someone has gained access to your smart TV, the simplest solution is to perform a factory reset or master reset, which should be explained in your TV manual or on the manufacturer’s website. Security experts have found this doesn’t always work if the TV has been hijacked by ransomware. In that case, they recommend you contact the maker directly. You can reduce the risk of a hack attack by being wary about downloading new and unknown TV apps and by setting a password that will prevent hackers accessing other parts of your home network.